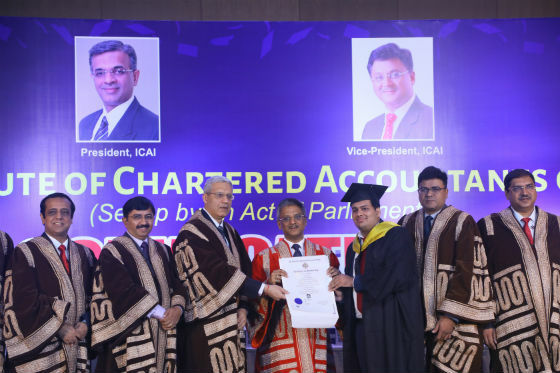 New Delhi: The Institute of Chartered Accountants of India(ICAI) organizes Convocation ceremonies all across the country to award Rank Certificates to the meritorious Chartered Accountants & Membership Certificates to newly enrolled Chartered Accountants. The Northern region of ICAI organised the Convocation ceremony on September 2, 2017 at New Delhi. The Convocations at the other 4 regions i.e. East, West, South & Central regions of ICAI were organised at 9 centres on September 1, 2017. During the Convocations organised at all 5 regions, in total Associate Certificates were awarded to 8454 members as per details mentioned below. CA. Nilesh S. Vikamsey, President, ICAI extended his best wishes to the new entrants to the profession as well as rank holders and congratulated all of them on becoming successful CA professionals. He said “We are living in an era of globalization and liberalization. There are no geographical borders for trade and commerce. The interdependence and linkages have become closer and dense. This places a large responsibility upon CA profession.” President, ICAI also encouraged the members to have a focused vision and chalk out their career path accordingly. 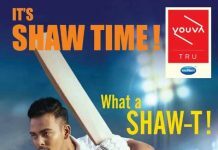 The Institute of Chartered Accountants of India (ICAI) is a statutory body established under the Chartered Accountants Act, 1949 for regulating the profession of Chartered Accountants in India. ICAI is the second largest accounting body in the world with a strong tradition of service to the public interest and to the Indian economy.